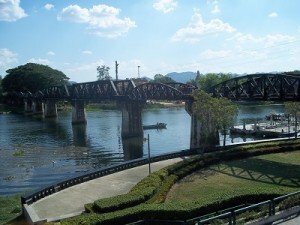 Historical facts around the bridge over the River Kwai are different to the ones portrayed in the famous Film ‘The Bridge Over the River Kwai’ starring Sir Alex Guinness, and the bridge which is standing over the River Kwai today has it own story. 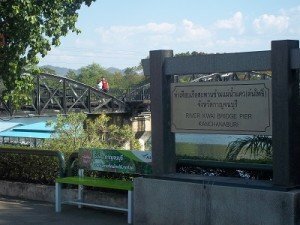 Historical inaccuracies aside, the bridge stands as a moving monument to a very dark chapter in Twentieth Century history and it well worth the journey from Bangkok to Kanchanaburi to visit. British and other Allied Prisoners of War did indeed build a bridge at Kanchanaburi during World War II for the Japanese, and their living conditions were very bad as portrayed in the film. However, there are a number of factual inaccuracies in the film. Firstly, the POWs built two bridges, one of wood and the other of steel and concrete. 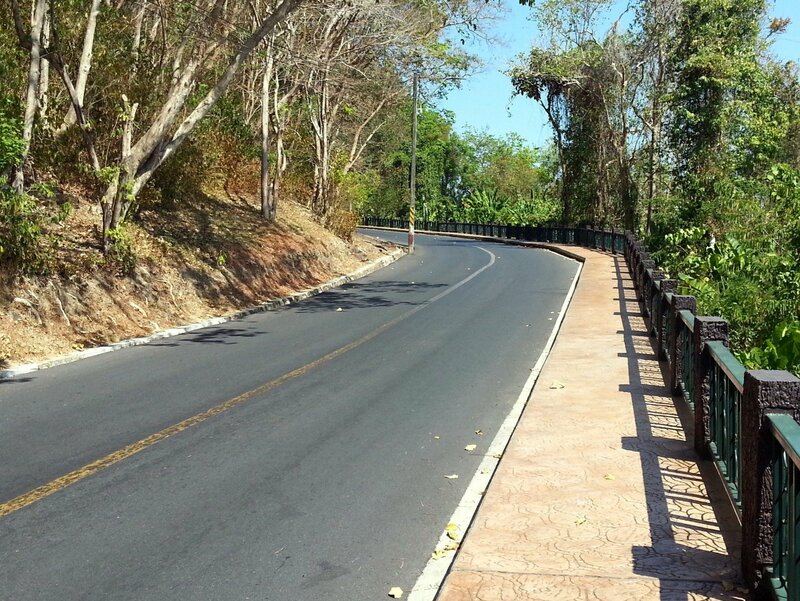 The wooden bridge was entirely destroyed by a bombs dropped from warplanes, and the concrete/steel bridge was partially destroyed. The angular trusses in the centre section of the bridge are replacements (provided by the Japanese after the war) the rest of the bridge is the original dating from 1943. Other factual inaccuracies relate to the relationship between the British prisoners and the Japanese camp guards. Unlike in the film, the real lfe senior British Officer, Lieutenant Colonel Philip Tosey, actively attempted to delay the construction. Moreover, the Japanese Commander was perceived by the British to have been relatively fair and humane. It is worth noting that Lieutenant Colonel Philip Tosey appeared as a defence witness for the Japanese Camp Commander during his trial for war crimes following the war. 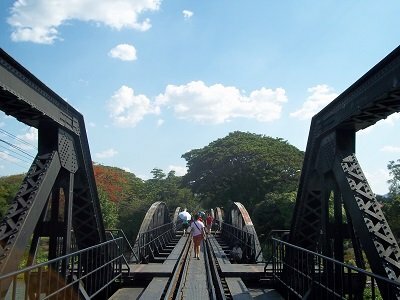 The bridge is still in active use today, although only two trains pass each way a day and they only go as far as Nam Tok which is still some distance from the end of the line deep in what is now Myammar. You can walk across the bridge for free. 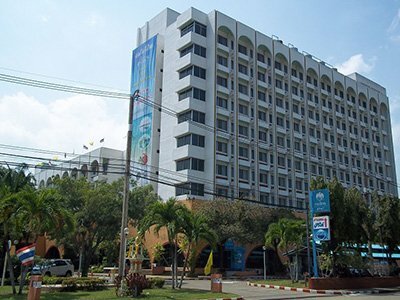 It is a pleasant visit to make and an important piece of history. 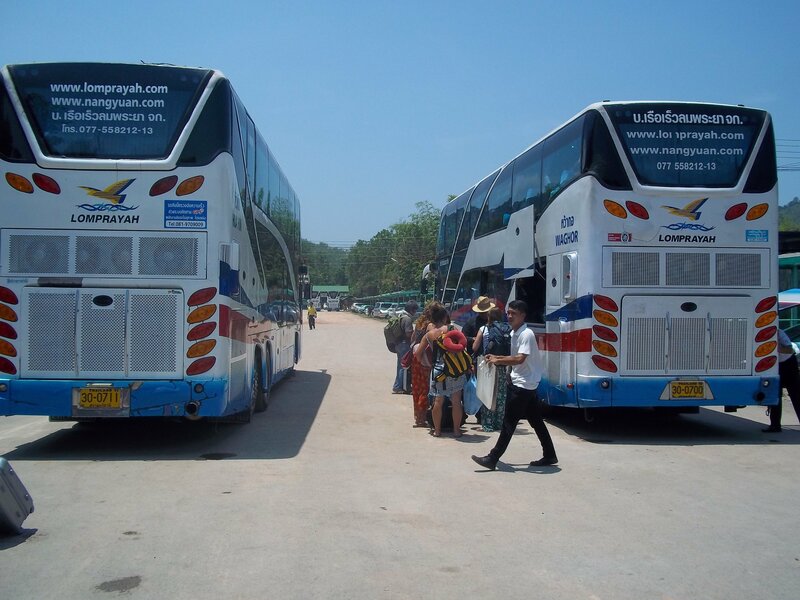 The area around the bridge is one of outstanding natural beauty and the wide river meanders peacefully through sleepy Kanchanaburi with the promise of the hills of nearby Burma on the horizon. To the right of the bridge you also get a good view of a Chinese temple which is certainly worth a photograph.